Last post, I talked about the different types of forest gardens. These were the dark forest and the woodland garden. Now, let’s discuss creating a woodland garden. We appreciate the atmosphere that the forest creates. This elusive element is what we are trying to recreate. To create this atmosphere, you need to recreate the forest scene. Depending upon your site, you may also need to take additional steps when creating a woodland garden. For most, a key step will be secluding their garden from the outside. Nothing blows the atmosphere of being in the quiet woods like looking at you neighbor’s kids playing in the Slip and Slide singing, Taylor Swift’s We Are Never Ever Getting Back Together. See my posts on enclosing your garden and mixed borders for help in this area. You will also want to drown out the noise. The best way is to create white noise. 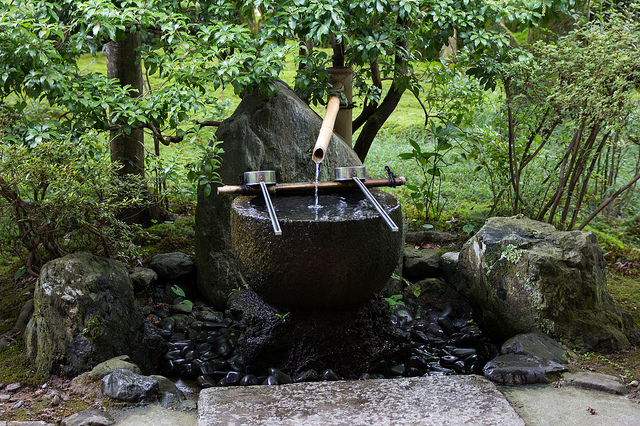 A waterfall or fountain can be used in gardens for this purpose. 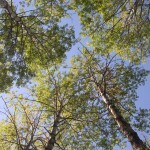 If your yard has mature trees, you can use them as the basis of your garden. You may want to remove some. Plants with gaudy foliage, may look out of place. Get that Purple Leaf Plum Outta Here! Probably that tricolor beech too. Last time I looked, I didn’t see a lot of purple and pink leaf trees in the forest. 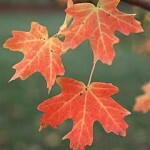 If you have large trees that cast heavy shade, like a Norway maple, they may need to be thinned. 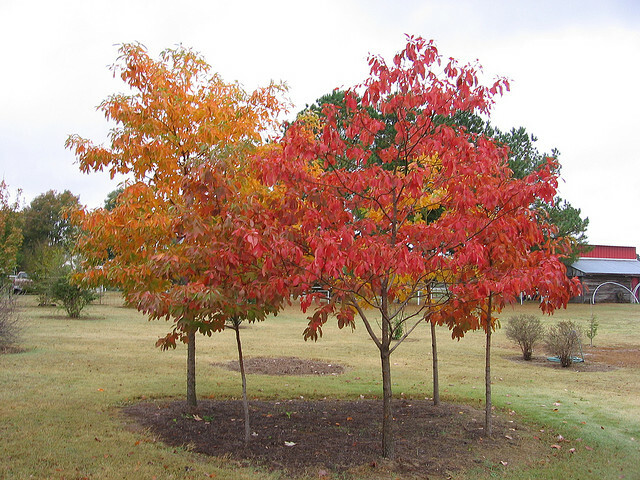 You will want to add some other trees to supplement the shade in areas where it is sunny. These can be smaller trees. If supplementing the shade from existing large shade trees, consider using under story trees and trees that grow on the edges of forests. When creating a woodland garden you could use red bud (Cercis canadensis), ironwood (Carpinus caroliniana), sassafras (Sassafras albidum) or flowering dogwood (Cornus florida) for instance. 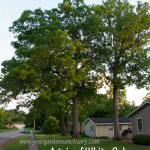 Selecting under story and other smaller trees to fill in shade less areas. Arranging seating areas such as bench or patio areas. Selecting and laying out where you will have woodland shrubs and ground covers. Showing where you will add screening through fences, hedges or evergreen plants. 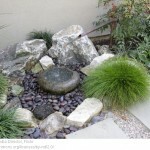 Showing where focal points such as water features will be placed. Subscribers will continue to get my posts, so go ahead and subscribe in the box below. I promise I won’t share your email or spam you and you can unsubscribe anytime. Next post, I will discuss creating a woodland garden when you DON’T have a bunch of trees to start with.